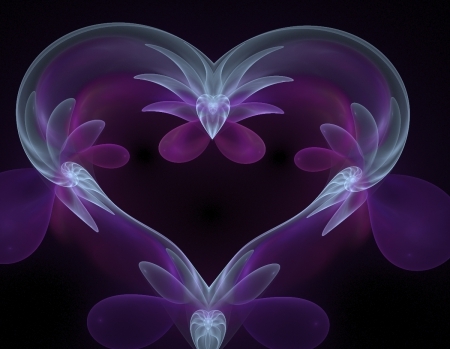 Imagine iron molded into a heart`s form. From the external, one can easily see a jewel embedded in the heart`s case. Its location is unique as it fills a hole allowing it dual access with its radiance shining brightly outward to the onlooker while simultaneously illuminating the inward with intimate light. There is, however, an even more fascinating jewel hidden in the hollow of the mold. It is embedded firmly within a protective casing of the metal and thus its radiance is confined to the inward alone. In its secret and humble abode, it dazzles and enlightens the heart chambers with impressive grace. Rare is it for the inward jewel to displays its charms, but its luminous existence is never forgotten. Jewels of the heart are rare to find.